← The Effect of Exercise on Telomere Lengths. Have you ever wondered that your diet may have a profound effect on your mood and sense of well being? Though no specific studies have been done to prove that a specific diet plan alone will work best in the treatment of clinical symptoms of depression, still there is enough evidence to show that a healthy diet can play a very important role in the management of depression in association with other treatment measures. The diet should be high in nutrients such as vitamins, minerals, carbohydrates, proteins and fat which are very important for the growth and repair of the body tissues. The diet should be full of essential antioxidants which help in combating the damaging free radicals. These free radicals produced as a result of normal body functions are responsible for various illnesses including depression. Examples of antioxidants include beta carotene, Vitamin C and Vitamin E. Foods rich in antioxidants are fruits, vegetables, nuts, legumes etc. Protein-rich foods such as chicken, tuna, low fat dairy and beans and peas help to increase alertness and concentration. Therefore, protein rich foods should form a regular part of your diet. Smart carbohydrates in the form of fruits, vegetables, legumes, whole grains etc should be regularly included in your diet as carbohydrates helps in the formation of a mood-boosting brain chemical, serotonin. Studies suggest that there is an association between depression and low intake of selenium rich foods. Therefore, selenium rich foods such as beans, legumes, low fat dairy products, nuts and seeds, lean meat etc should form a regular part of your diet. Include Omega-3 Fatty Acids in the form of flaxseed, nuts, canola oil, walnuts etc in your diet. Researchers have suggested that depression may occur in individuals who suffer from a deficiency of omega-3 fatty acids. 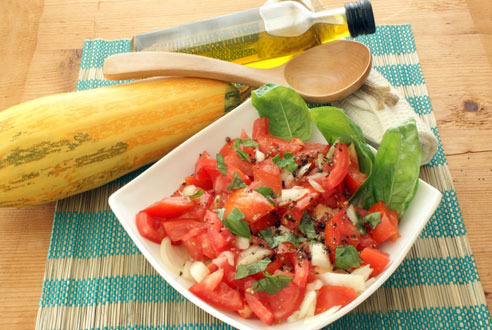 Mediterranean diet is a balanced and healthy diet based on the diet eaten by people living in the Mediterranean countries. Various studies have been conducted to demonstrate that Mediterranean diet is associated with reduced risks of heart disease, cancer and other chronic illnesses such as depression, Parkinson’s and Alzheimer’s disease. Plant based foods such as fresh fruits and vegetables, nuts, legumes and whole grains form the basic component of a Mediterranean diet. All these foods are a rich source of anti oxidants and smart carbohydrates and form an important part of the diet that helps in improving mood and depression. Healthy fats such as olive oil and canola oil are eaten in place of butter and all other types of saturated fats. Olive oil and canola oil are rich in omega-3 fatty acids, another nutrient essential for fighting depression. Fish and poultry are regularly eaten in a Mediterranean diet. These foods are an important source of protein which is recommended to improve mood, alertness and concentration. High fat dairy products are replaced with low fat dairy which is rich in selenium, a mineral that is essential to fight depression. Intake of red meat and high fat meat in avoided in Mediterranean diet. Drinking a glass of red wine for people who drink alcohol and a glass of purple grape juice for non alcoholics is recommended with dinner. Red wine is rich in antioxidants; therefore, it also helps to fight depression. So, if you want to be happier; follow our Mediterranean cousins. I’m sure the afternoon siesta also helps as well!